Cascade Whole Hops. Packaged in Nitrogen purged oxygen barrier bags for the freshest flav..
A long time standard in the brewing industry, Good for flavor and aroma, but an acceptable bittering..
Centennial Whole Hops. Packaged in Nitrogen purged oxygen barrier bags for the freshest flavors and ..
Citra Whole Hops. One Ounce Bag. Packaged in Nitrogen purged oxygen barrier bags for the freshest fl..
Citra Whole Hops. One Pound Bag. 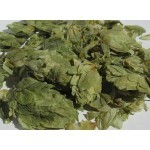 Packaged in Nitrogen purged oxygen barrier bags for the freshest fl..
Czech Saaz Whole Hops. Packaged in Nitrogen purged oxygen barrier bags for the freshest flavors and ..
Simcoe Whole Hops. Packaged in Nitrogen purged oxygen barrier bags for the freshest flavors and arom..